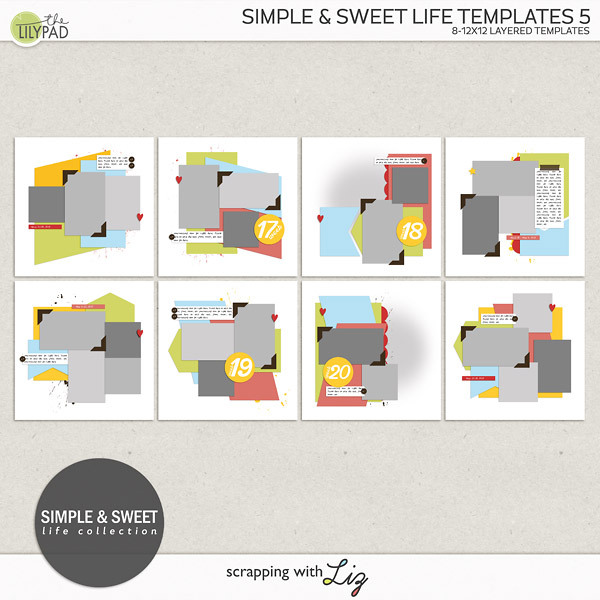 Scrapping with Liz: Week 45: Sign, Plays and Birthdays! I can't believe I just got finished scrapping our first week of November. That means I have less than two months left of this project. 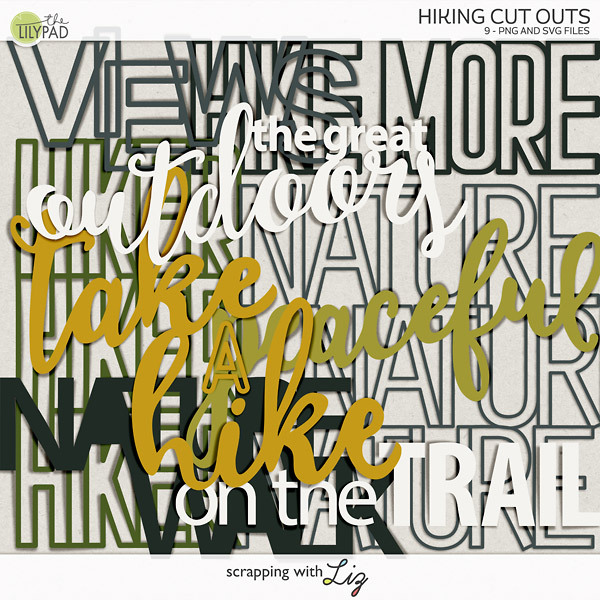 I think I'm going to miss scrapping these weekly pages. Actually, I'm already thinking about what I might do for next year. Anybody have any ideas? I'll let you read about our week below, if you want to. 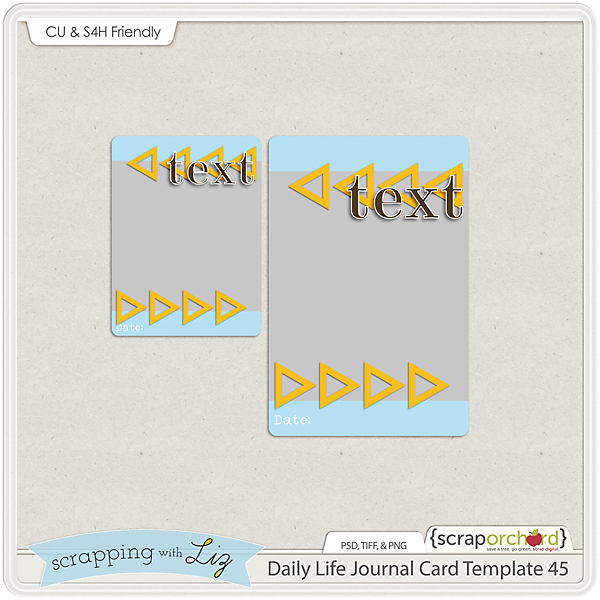 Make sure you grab the free journal card template. 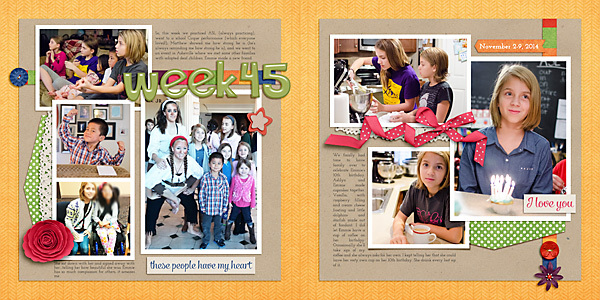 Journaling: So, this week we practiced ASL (always practicing), went to a school Cirque performance (which everyone loved! ), Matthew showed me how strong he is (he’s always reminding me how strong he is), and we went to an event in Asheville where we met some other families with adopted deaf children. Emmie made a new friend. She sat down with her and signed away with her....telling her how beautiful she was. Emmie has so much compassion for others, it amazes me. 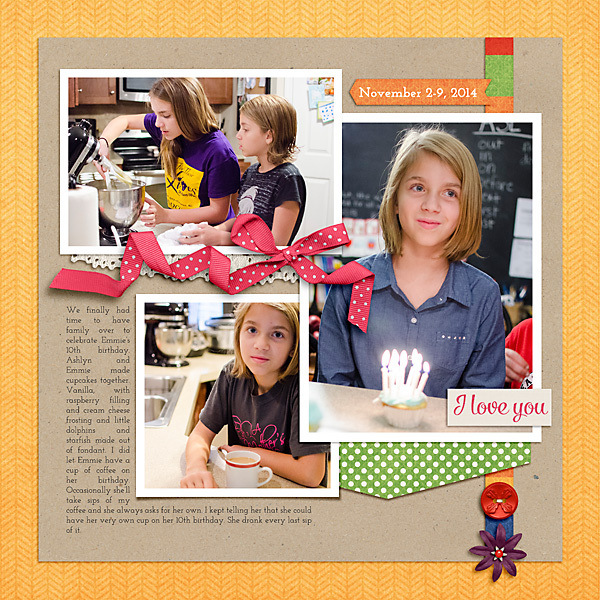 Journaling: We finally had time to have family over to celebrate Emmie’s 10th birthday. Ashlyn and Emmie made cupcakes together. Vanilla, with raspberry filling and cream cheese frosting and little dolphins and starfish made out of fondant. I did let Emmie have a cup of coffee on her birthday. Occasionally she’ll take sips of my coffee and she always asks for her own. I kept telling her that she could have her very own cup on her 10th birthday. She drank every last sip of it. And here's your journal card template.